HONG KONG / NEW YORK, 27 September 2017 – South China Morning Post Publishers Limited, Asia’s leading media company, today announced the appointment of Ms. Mi Li to the position of Head of Global Marketing. Ms. Li will report to Chief Operating Officer Elsie Cheung and will spearhead audience and market development strategies to help heighten SCMP’s global brand presence. In addition to developing SCMP’s branding and communications strategies, Ms. Li will identify and leverage sponsorship, partnership and marketing synergy opportunities for the brand. Ms. Li joins SCMP from the Financial Times (FT), where she was Global Head of Business Partnerships and Content Marketing, and a member of the FT’s Leadership Group in the United States. Ms. Li was also a founding member of the FT’s Audience Engagement team, which enhanced collaboration between its editorial team and commercial divisions. She also co-founded the FT’s Future of FinTech Awards, which was launched globally last year. 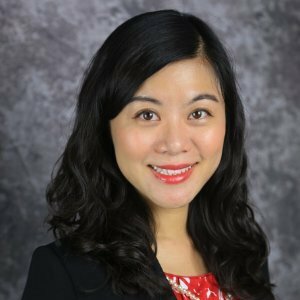 Prior to the FT, Ms. Li was Audience Development Director at The Fiscal Times and Marketing Manager at American City Business Journals, the largest publisher of metropolitan business newsweeklies in the United States. Ms. Li has established her thought leadership in global marketing and digital strategies and spoke at multiple international conferences such as Digital Innovators’ Summit and Digital Media Asia. Ms. Li holds a B.A. in Journalism from the Communication University of China, and a M.A. in Strategic Communications from the University of Missouri-Columbia.